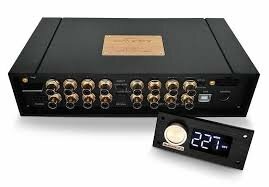 I’ve never ran a dsp but the Rockford 3sixtys seem good just expensive. the audiocontrol dsps might be worth a look also. I SUGGEST you buy it, Run it, Review It!!! Tons of DSP's out there. Not to sound stupid but what does de-equalizing mean? I googled it and didn't find a meaning for it. Equalize, yes. De-equalize, No. For what you want, go audiocontrol. Gotcha, your looking for channel suming and acu bass. Audio control comes to mind as well. I used a LC7 from audio control on 2 builds with great results.